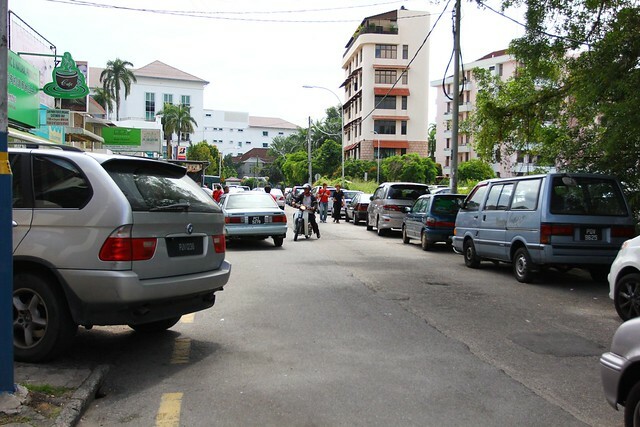 #1: Roadside car park always get full because of cheap parking rate at RM0.30 per half hour. 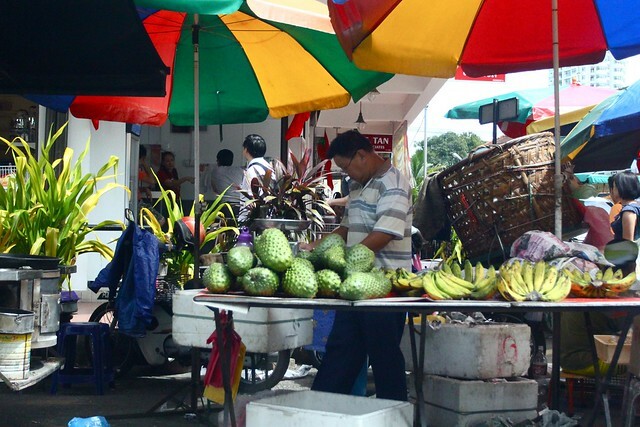 Driving Through Jalan Pasar, Pulau Tikus – Jalan Pasar is where the Pulau Tikus Wet Market is and it’s get crowded and happenings in the morning. This post showcase a few photos taken a few days back when driving pass this road. #2: Fruit seller by the roadside working on his fruits. An apple a day, keeps the doctors away. 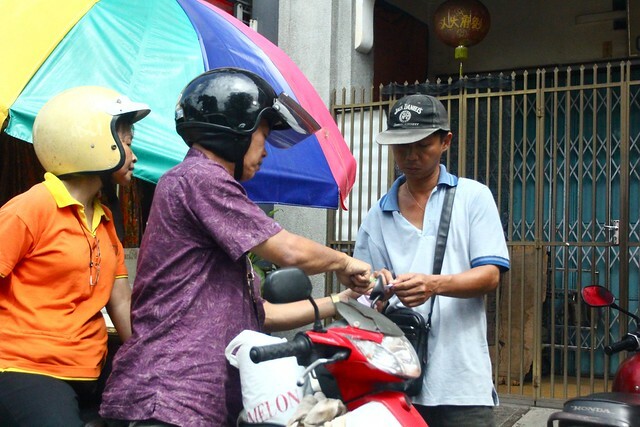 #3: Roadside car park fee collector from the local municipal council. I think they should implement some sort of electronic payment system because at some times, you will not be able to find the fee collector to pay for your parking and that’s where you get trouble. 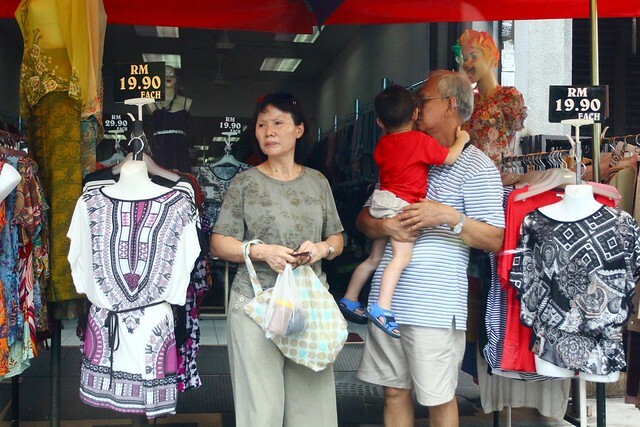 #4: Grandparents carrying grandson to go shopping at the morning market. The boutiques near the market do have good business. 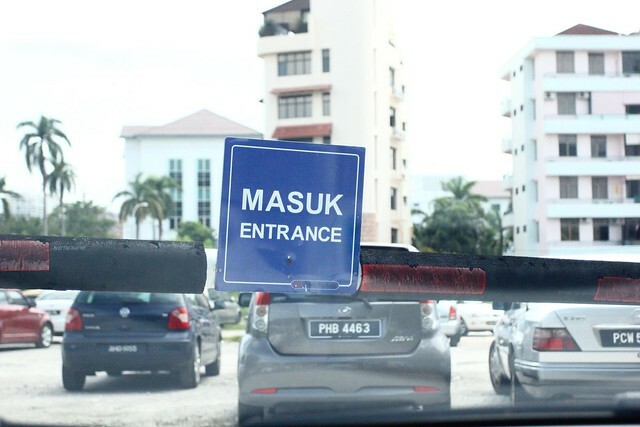 #5: Went to park at a private open air car park at rate of RM3/entry on weekend and RM2/entry on weekdays. Hmm.